Green remodeling is becoming more and more popular everyday. More homeowners are interested in ways to make their bathroom remodeling project “green”. How exactly can you make a bathroom remodeling project “green”? Well, there are many options when it comes to green bathroom remodeling. Green bathroom remodeling can help improve energy efficiency, use less water, reduce indoor air pollution, and makes use of recycled materials. When a bathroom remodeling project starts, typically it starts with the demolition phase which is where the entire bathroom is gutted. Instead of calling it “demolition”, where a lot of the materials find there way to the landfill, we choose to call it “deconstruction”, which focuses on recycling and reusing existing materials. Habitat for Humanity is a great place to donate building materials. Remember that, “one person’s trash is another person’s treasure”. As you remove the existing bathroom materials, you can evaluate for water damage or possible mold. Moisture control and mold prevention is very important when it comes to creating a healthier indoor environment. Many old bathrooms have poor ventilation and some bathrooms have wallpaper on the walls. Wallpaper in moisture areas is a huge problem for mold growth. If there is poor ventilation or wallpaper in the existing bathroom, this is a great time to remove the existing drywall and install moisture resistant drywall. If the drywall is removed, this is also a great time to evaluate any exterior walls (if any) and upgrade the existing insulation. Some green plumbing tips for your bathroom remodeling project consists of conserving water and improving hot water efficiency. One of the easiest and most cost effective ways to improve your hot water efficiency is to install a water heater insulation jacket. This can significantly reduce standby losses of your water heater. Other ways to improve hot water efficiency is insulating hot water pipes. Sometimes this is hard in existing spaces, but if the hot water pipes are in unfinished spaces, this is a great time to insulate the hot water pipes to reduce heat loss. Another option is to replace your water heater with a tankless water heater. Water is heated as it flows through the heater so there are no standby losses as in a water heater with a tank. This could result in significant energy savings despite the initial high cost of a tankless water heater. Reducing the overall use of water is also very important. This can be done by installing low-flow shower heads/faucets and toilets that reduce the amount of water that is flushed. Federal regulations require that toilets consume no more than 1.6 gallons per flush (gpf). There are several options on the market today, such as high efficiency toilets that use much less water per flush. Many toilets today are designed with pressure assisted technology which can reduce the toilet to as low as 1 to 1.28 gallons per flush. They also have the option of a dual flush toilet that can greatly reduce water use. WaterSense is an EPA-sponsored partnership program that helps consumers identify water efficient products. Look for products that contain the WaterSense label for a high performing product that can help you save money. Lighting for a bathroom is very important. The lighting design in a bathroom should include ambient and task lighting. For ambient lighting and vanity lighting, fluorescent or LED lighting is the best option for energy savings. 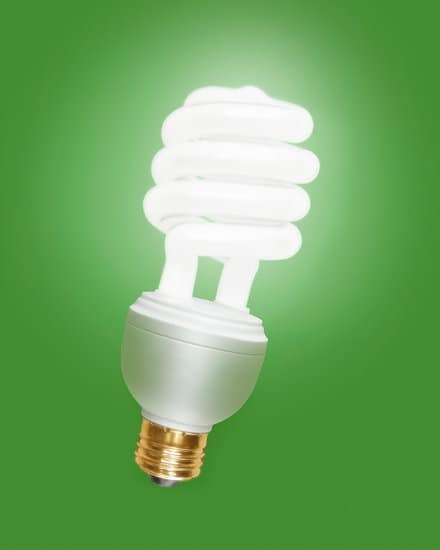 Fluorescent bulbs are more energy efficient and last ten times longer than the inefficient incandescent bulbs. LED lighting is the lighting of the future and outlasts most current lighting. The initial cost for LED lighting is higher but will be saved in the long run because of its long life span. LED lights are highly recommended for task lighting versus the inefficient incandescent lighting. Recess lighting is very popular today and can also be installed in a bathroom. If installing recess ambient lighting, be sure it is sealed air-tight and is insulation compatible. An air tight light fixture will prevent heat loss through the attic and insulation compatible is designed for direct contact with insulation. Any lighting installed in a shower or wet areas must be a water resistant light. A great way to control energy usage in a bathroom is to install separate switches for each lighting, so you only use the lighting that you need at one time. Dimmer switches are also a good way to control energy usage. Daylighting is the best way to reduce energy usage. 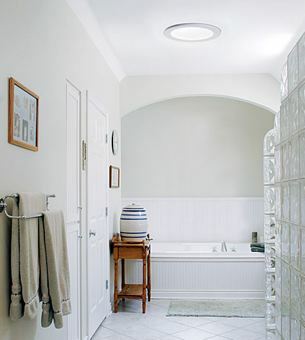 Large windows, skylights, and solar tubes are great ways to add natural light into a bathroom. Natural light is good for your health and can help reduce energy bills. One important thing to remember is that not all windows and skylights are created equal. You must be sure you install an energy efficient window and ensure that it is installed properly, or you could end up with water problems or major air leakage. Vinyl windows are good options in bathrooms versus wood, because wood is susceptible to rot. When installing a skylight, at a minimum it should contain low-e glass. Solar tubes are actually a more energy efficient option and typically less expensive. As we have mentioned earlier, moisture control is very important with a bathroom. A bathroom can cause a lot of moisture in the air, and you want to ensure that the moisture is vented properly. Many older homes have a window for ventilation, but that is not adequate. Most people do not open the window if it is freezing outside. Therefore, these older bathrooms tend to develop mold and create moisture problems. The best way to control moisture in a bathroom is to install an exhaust fan that is appropriately sized for your bathroom. You want to select an exhaust fan that is energy efficient and has low sone (not noisy). A great way to get the best use of an exhaust fan is to install a timer switch to the fan. This prevents the exhaust fan from being left on and wasting energy, but it also helps you keep the exhaust fan on for 15-20 minutes after you have showered to control the moisture level. When installing an exhaust fan, make sure that it is ducted to the outside to keep the moisture out of the bathroom and the attic space. Never duct the exhaust fan to the attic because this could create major moisture and mold problems in the attic in the future. Improving indoor air quality is a key aspect of green remodeling. One way to control air quality is to monitor the finishes that are installed in a bathroom. Bathroom finishes should be water resistant, long-lasting, and healthy. The best option for cabinets in a bathroom is solid wood cabinets. You want to avoid the particle board and MDF constructed cabinets that off gas formaldehyde. The best wood cabinets to use are FSC-certified, contain low-VOC, and have a water-based wood finish. Ceramic tile is a good choice for the bathroom floor and shower/tub walls. Ceramic tile is water-resistant, washable, and a very durable product. Another option for shower/tub walls is some type of natural stone or a synthetic material. It is very important to use low-solvent adhesives to minimize the toxins in the indoor environment when installing these materials. The best paint finishes to use is low-VOC or no VOC paints. 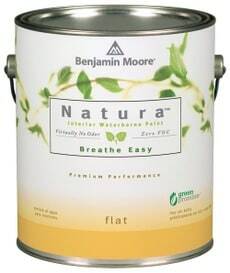 These types of paints reduce the amount of volatile organic compounds that are off gassed during the application. These are just a few ideas for your next green bathroom remodeling project. Green remodeling is all about building to last longer, creating a healthier indoor environment, conserving energy and water usage, reducing material wastage, and utilizing recycled materials and natural resources. If you would like to learn more about green remodeling or meet with a Green Certified Professional about your project, please contact us at (703)444-3127 or fill out our online form.